Unlike many of your readers, I did NOT grow up around horses. But I did use the word HORSE all the time in the context of HORSEPOWER! The first half of my life was all about horsepower, in that my passion was racing motorcycles and cars. With names like Yamaha, Honda, Ferrari, Corvette, Trans Am, etc, I lived what I loved. Then, perhaps as a midlife crisis, I wanted a change, but had no idea 'change to what'! I was 41 and I got my first horse almost by accident. A wonderful, perfect beginner horse, an 18 year old Arabian gelding, Raj. Little did I know Raj would change my life, launching me in a completely new direction and allow me to help thousands of horses and their owners worldwide. Raj was kind and forgiving of my ignorance about HIS world, and he took care of me as I learned. He made my start in horses magical, and gave me a new passion! I should also add that one advantage I had getting into horses at 41, is that I KNEW I knew nothing about this world of horses, so I was open to being taught. 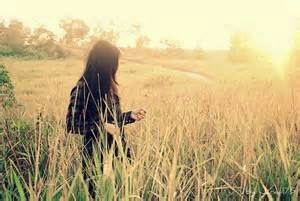 But I was also aware that if something didn't FEEL RIGHT, perhaps is wasn't. I began to question a lot of the NORMAL in horses, but had no facts to back up those feeling. I am thankful to this day that I listened to those feelings! In the past 21 years I have had the PRIVILEGE of working with every breed and discipline on the planet. And to be quite honest I have NOT met a breed I do not like. 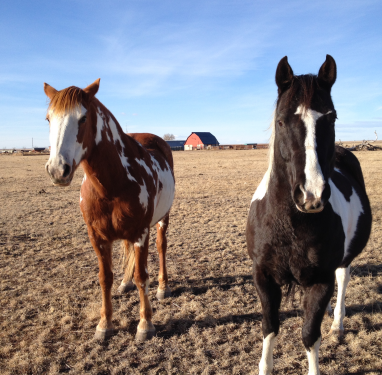 From Clydesdales to Mustangs and Paints to Warmbloods, they are all first and foremost HORSES. Much the same as how all types of humans are still all PEOPLE! But I own and ride Arabians. Since I got into Endurance Riding, the small, strong, agile Arabians were perfect for me. I also love their look as well as their intelligence and personality. 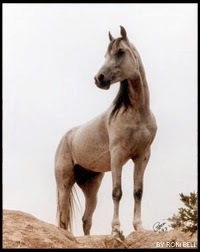 When I occasionally hear a person say, 'I cannot stand those 'hard to handle spooky Arabians', I know I met a person with more limitations than the horse! Those same limitations that later allowed me to buy an 'out of control' Arabian Stallion, could have been a disaster. But once again, the fact I KNEW I needed to learn what I didn't know, kept me on track to turn a dangerous situation into a true miracle! Where is your favorite place/arena to ride? When I got into horses, I lived in Denver. I loved to trail ride motorcycles in the mountains and found the National Forest incredibly attractive. I kinda got bored, just riding around an arena, so those gorgeous mountains just kept calling my name! In later years I got to do Endurance rides all over the western US, and found so many beautiful places to ride, such as a 250 mile 5 day ride across Utah, that was incredible. I first saw Mt. Rushmore from the back of my horse on an Endurance ride in South Dakota. This is such a great country to see from the back of a horse!!! Answering this question is why I wrote my first book! Obviously in the beginning I didn't have ANY training methods. Fortunately my first 2 horses were so good and took care of me, I didn't NEED any. With those two, I just needed to not screw them up! Then I bought Sunny, while his owners kept telling me NOT TO BUY HIM! He bit and kicked and struck and bucked and rolled over people, so he was called a rogue. But I had a perfect reason to buy him, he was SO PRETTY! He had been ridden, but not a lot, and oh, he was also hard to catch sometimes. Perfect horse for a beginner! They did tell me that gelding him would likely help his behavior. So the day I bought him he was gelded. And they were proved wrong!.... For some reason I was able to catch him with no problem. The first day I was to ride him there were 31 people standing around to watch! My dressage saddle offered little to hold on to, so I must confess I WAS a bit concerned. The first ride was a non-event. HE was a dream to ride, fast, agile, sure footed; he was a huge step beyond my first 2 horses, in many ways I had yet to realize. Sunkist Sir Beau, A.K.A. "Sunny"
After 3 flawless rides in the mountains, the 4th ride was different. About 3 miles out he decided to go home, and we did. At full speed the whole way. It was my first experience on a runaway horse! Like being on a motorcycle with the throttle stuck wide open! All the previous years of racing and skydiving taught me how to manage my emotions in situations where many others would just panic. I really believe that saved my life. You see on the 7th ride he did it again. And over the next 8 months he runaway with me (3-5 miles per event) 43 times! After the third runaway, I went looking for help and in the horse world that means TRAINERS. I hired 5, 4 of which were never able to even get on him. The one who did, never rode him out of the round pen! I was the neophyte and I was riding him 3-5 times a week. What is wrong with this picture? And for this of you 'normal riders' reading this, yes we did change bits! Six times to some of the most severe bits available. What 'TRAINING METHODS' did these trainers(?) use? Severe bits, tie downs, laps and laps in a round pen, etc. I honestly never saw a 'method' in use, just a struggle, which Sunny always won! So after 8 months and 43 runaways, I put Sunny in a pasture and took off to find someone who could help me 'fix' this horse! The term Natural had appealed to me, so I went to clinics with all the big name NATURAL trainers. Lyons, Hunt, Roberts, Parelli, Branaman, etc. And I bought their sticks and ropes and halters and on and on. (I don't consider TACK a TRAINING METHOD, but that puts me in a minority). Nothing worked, although I was told several times, to SELL THAT HORSE....After a lot of money, travel and a LOT of clinics, I went back to Sunny in Colorado. I put him in a round pen and tried to do what I had seen, but realized I was just very confused, since all those trainers were as different as they were alike. So this is where things changed for me. I had learned more watching the horses than the trainers and so now I watched Sunny. I knew I needed to change his MIND and get him to let me DRIVE on our rides! 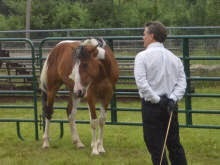 I can't explain all I teach in a clinic, but here are the 3 simple fundamentals: 1) Get and keep the horse's attention. 2) control the movement of his body LOOSE in a round pen. and 3) calm him down! If he pays attention to you, he is telling you you’re important. The opposite is what most people live with....If he will yield when you ask, you can teach him anything.....And a calm horse is ALWAYS more responsive, less over-reactive and a whole lot more fun! 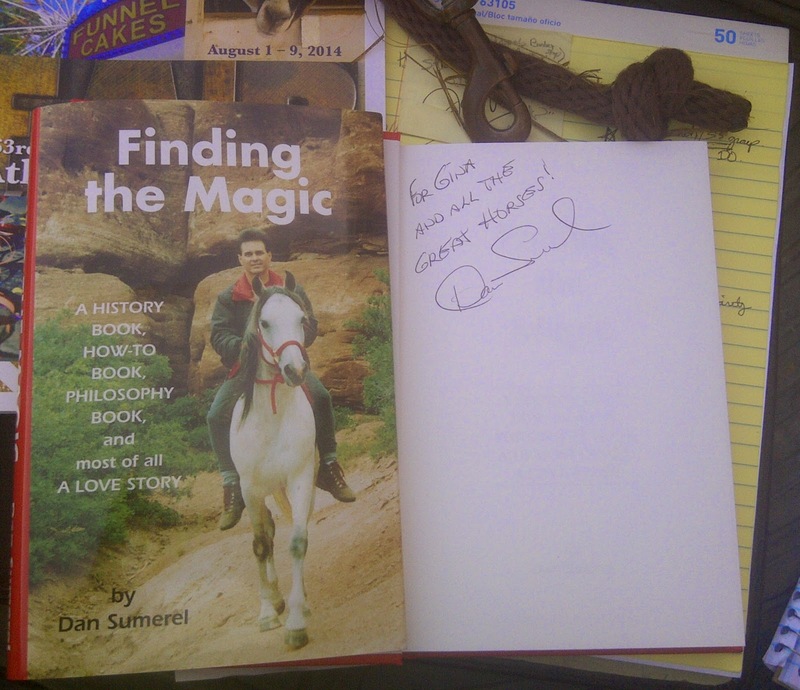 Finding the Magic is an international seller! Who would enjoy reading your book? After 10 years of clinics all over the US, Canada and Australia, people kept asking me to write my story in a book, so I did. I had written dozens of technical articles for car and motorcycle magazines, but writing a book was a daunting task at first. 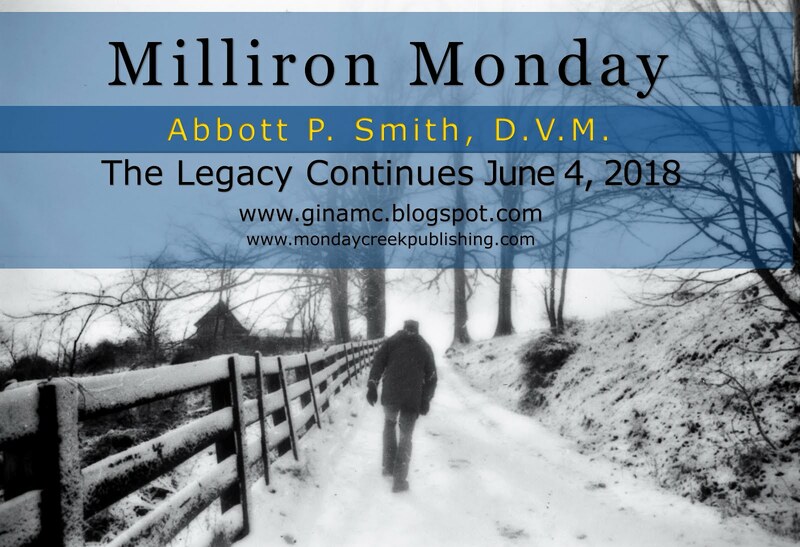 Once I decided to tell my story and as I did to continually interject what I did wrong and WHY it mattered, Finding the Magic came together in about 7 weeks. So many people contributed to my very steep learning curve in the horse world, and without bits and pieces from those people, I could not have progressed as I did. 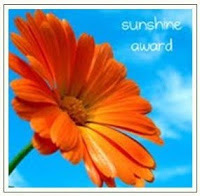 I learned a lot from the clinicians I mentioned earlier; even though it was sometimes learning things I would NEVER DO! I spent a short time with Gunther Gebel-Williams at the Ringing Bros Circus, and if you think it is important to be in control of your horse (which most people are not) try going in a pen with 5 Tigers! Your horse can hurt you but he won't eat afterwards! I am proud to Say Finding the Magic is going into its 5th printing and is in 2 languages. 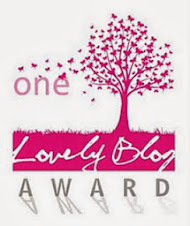 By openly describing all the mistakes I made, you will laugh until it hurts! I hear that all the time. There are parts of the book that will bring tears to your eyes, But the most common comment I have heard is that after reading it, you can never look at a horse the same way again. 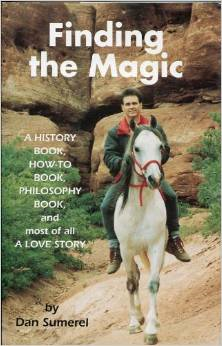 The HOW-TO chapter in Finding the Magic will give you a METHOD to change you and YOUR HORSE. And the Chapter on PHYSICAL will describe the other half of my work with horses, allowing us to find and correct physical problems - like nothing else out there. And it is a technology that ANYONE can use for their own horses or as a service business helping horses in their area. 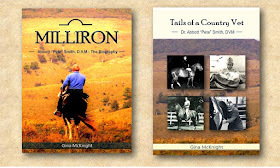 I do hope you will order a copy for yourself and any friends who really love horses! Do you have a favorite horse anecdote? One of the most dramatic and funniest situations was when I took Sunny to his first clinic. There were 36 people and horses at the clinic and the well-known clinician was a cowboy of the first rate. Hat, chaps, spurs etc.... 33 of the people attending were also western attired, on mostly Quarter horses. There were 2 girls in English riding attire on Thoroughbreds. 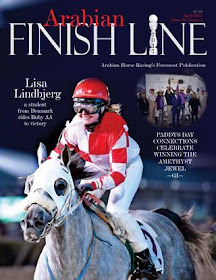 And, there was one guy wearing red and black riding tights, and a white helmet on a small gray Arabian. ME. The clinician did his preliminary 'training' with each horse, and Sunny took twice as long and any other horse there. As he gave Sunny back to me he said, "You've got a real challenge there." I knew that before I paid to go to his clinic! On the last day of the clinic all the riders were in the large outdoor arena with the goal being to go around on the rail at the gait they were told, walk, trot, canter (lope) etc. As we all walked around, Sunny was doing well. No problem, he has a fast walk so we did pass quite a few others. Then the call came to TROT your horses. Now things got a little more exciting as many of the riders had exceeded their comfort zone and horses were going in several different directions. Sunny has a BIG trot so we were passing a lot of the others, and Sunny being very assertive about it, didn't really help those less in control....I knew the words were coming, and I planned to ride out whatever happened. The clinician yelled loudly, 'Lope your horses'. At this time in Sunny's career he had 3 gaits, Walk, trot and 'Oh My God'. He now went directly into Oh My God....Now there were 35 people on horses, in the arena going at different speeds and in numerous different directions. The guy in the red and black tights on the little gray Arabian was going at a flat out gallop around the arena rail. Horses and people were parting like the red sea as Sunny and Dan charged on. In a short time there were 5 groups of people in the arena. A large group huddled around the clinician in the center of the Arena. There were also 4 smaller groups, one in each corner of the arena, again to avoid the charging little Arabian. As I rode on, actually enjoying the spectacle, (considering the gallop is a very easy gait to ride), the clinician began to yell out to me, "DO A ONE REIN STOP!!!" "DO A ONE REIN STOP!!" To which I yelled back, "WHAT"S THAT!" He then informed me to grab low on the inside rein and pull Sunny's head around to stop him. I did as requested and now the guy in red and black tights, on the little gray Arabian was galloping in a very large circle, with only a slight decrease in speed! Sunny is VERY coordinated! After a few laps Sunny and I grew bored, he slowed to a nice walk and the event was over. It was a day I fondly remember. On May 25 Sunny turned 29. If you saw him you would think he is 10. If you rode him you would think he is 3. We did a great little trail ride the other day and he still wanted to drive! He didn't get to, but Sunny will always be Sunny and I love him for that! 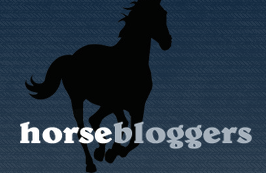 What should people look for when selecting a horse? You want the legs on the bottom and the ears on top. It’s important! Everyone has their own likes and dislikes that are important to them, so let your personal tastes direct you at first. What breed, what color, big horse (if you weigh 270 don't buy a little horse) and so on. Older horses tend to be more mellow, but can also bring a lot of baggage depending on their unique history. Price is a factor to almost all of us, but don't be fooled into thinking a $50,000 horse is BETTER than a $1500 horse. It may be more trouble. Also what do you intend to DO with the horse. If you want to compete in a particular discipline, get the horse you can afford with the best training in that discipline. But MOST important is the horse's mind/personality. For me the first thing to DO with a prospective horse is I recommend you play with the horse on the ground at liberty in a 50-60 foot round pen. Specifically try to accomplish the three goals I mentioned earlier. You will almost always learn all you need to know in 30-45 minutes at liberty. And one more IMPORTANT thing to consider. Since I work with horses with physical and behavioral problems, I must tell you that you CANNOT SEPARATE THESE TWO AREAS! They overlap constantly, but for some reason most horse owners fail to see the importance of that! Our therapy Equipment can scan a whole horse (to locate ALL the physical problems present without guesswork) and then treat all the problems areas, in about an hour. 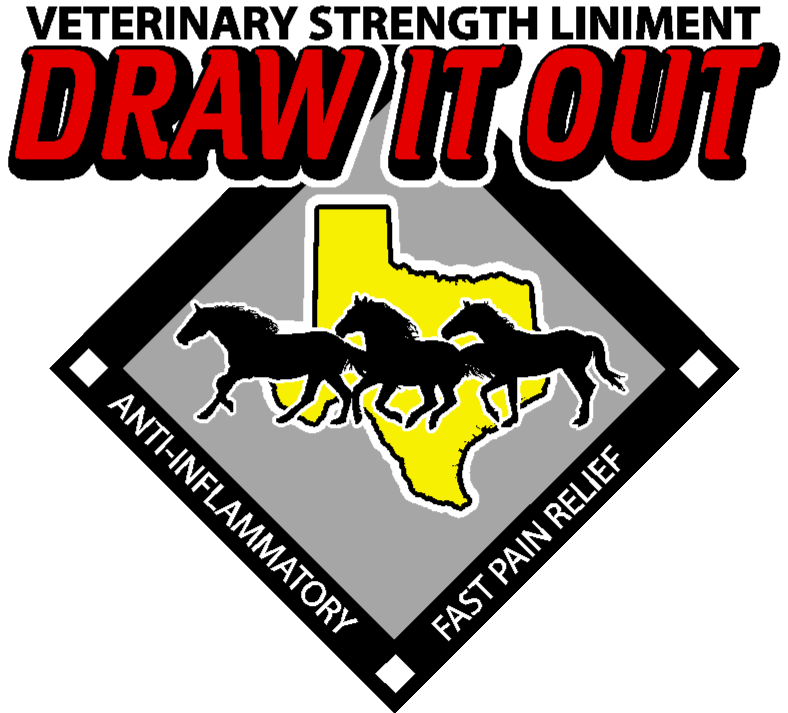 I use this on horses with behavioral problems all the time, because in the same way YOU might get quite irritable with a bad pain or headache, YOUR HORSE will not be the happy camper he could be, if HE is in pain; so before you buy a horse, GET HIM CHECKED THOROUGHLY for physical problems. And if he has problems, that is NOT a reason to pass on the horse, as long as they are found and can be corrected. I have been called in on 54 occasions when horses were about to be put down. In 53 of those I was able to save the horse, and that I am very proud of. Bottom line, find a horse you get along with and then love him forever! Any advice for novice riders? NEVER ride a horse that you have not played with on the ground in a round pen first! I see people all the time getting on horses that I would NEVER get on, until I had changed their attitude. And if the horse HAS an attitude, do you want to find that out when you are on the ground next to him or when you are on his back? Ever wonder why horseback riding is one of the 2 most common reasons for Emergency Room visits? (motorcycles are the other one, but only horses have a mind of their own!). NEVER buy a stallion that bites, and rears and kicks etc. I did that, and don't recommend it, even though it worked out well for me! Horsemanship is about being willing to listen to your horse and adapt what YOU DO to what the horse needs. People apply HUMAN values to horses and that is not valid. Horses try so hard to do what we ask, try asking in a way the horse understands. How you THINK controls what you do and who you are. Be willing to change how you think to help your horse. Build a partnership, with you as the lead partner. And lastly, get past the industry obsession with tack and other equipment. Much of that gets in the way of having a better relationship with your horse. Consider the Native Americans – they would ride all over the roughest terrain in the US, and even fought WARS on horseback. And they did it with no horseshoes, no bits, no saddles, no spurs, etc. etc. And people today cannot get their horse to walk through a puddle!!!!! The horse industry has not progressed much, to the benefit of the horse. Their commercial success is incredible, selling stuff you really don't need. And it is really not good for the horses. If you do something that is not good for your horse, but you don't know that, it does NOT make it any easier on the horse! Horsemanship is about doing what is best for the horse. Period. And what is best for the horse is always best for you too! 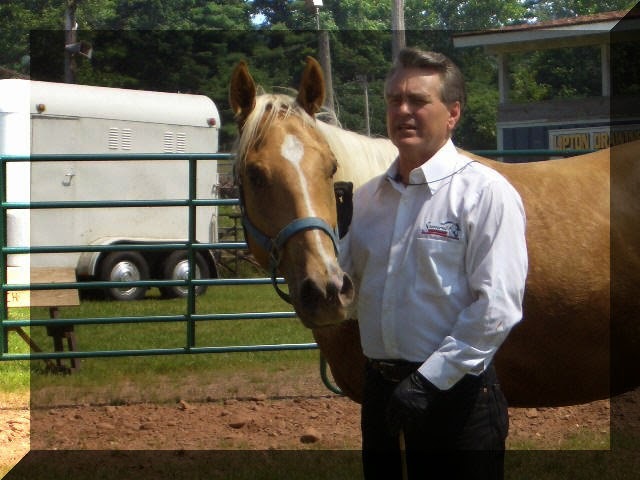 Dan was the first clinician in the United States to represent Dr. Robert Cook's Bitless Bridle! Dan and his wife Jocelyn are both certified Bitless Bridle instructors. can show you how and they are available for Clinics in your area! A great opportunity for 4-H groups, Equestrian Clubs, and more! And I believed the tale. ﻿﻿﻿﻿﻿﻿A seasoned equestrian, James A. Hastie knows horses. 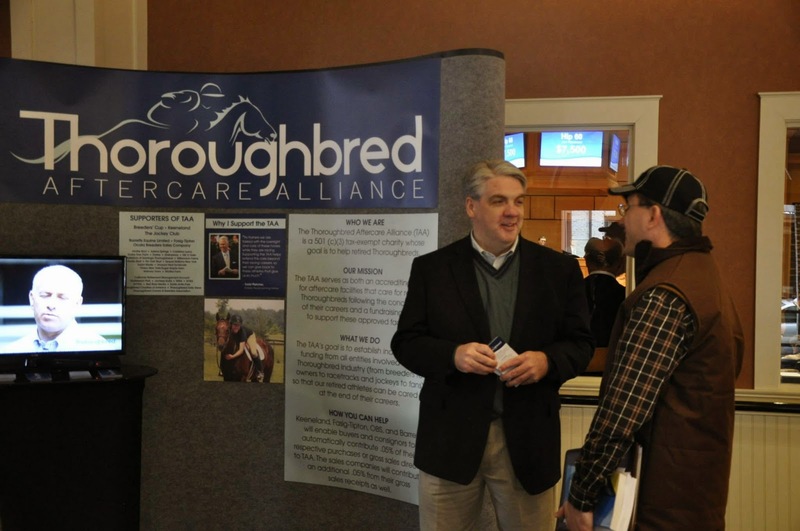 As the Executive Director of Thoroughbred Aftercare Alliance (TAA), James is strategic in promoting equine rehab, retirement, retraining, and adoption. It is a great honor to connect with James and support him in his efforts to save horses. contributing 25% of one season to support aftercare. When was your first encounter with a horse?My first encounter with a horse was a long time ago… Would have to be when I tried to ride a Shetland Pony named Hickory Hills Miss Indiana whose nickname should have been let me pull this five year-old over my head if he doesn’t let go of the reins. I fell off Hickory a lot, but I always got back on. Thoroughbred, but not because I work here. My first Grand Prix Show Jumper was an Off-the-track-Thoroughbred named James Bond. We ended up getting picked to go first, in our first Grand Prix. It was at Kent School, in the pouring rain. Didn’t get a ribbon, but considering I was only 17, well, he was an amazing horse. 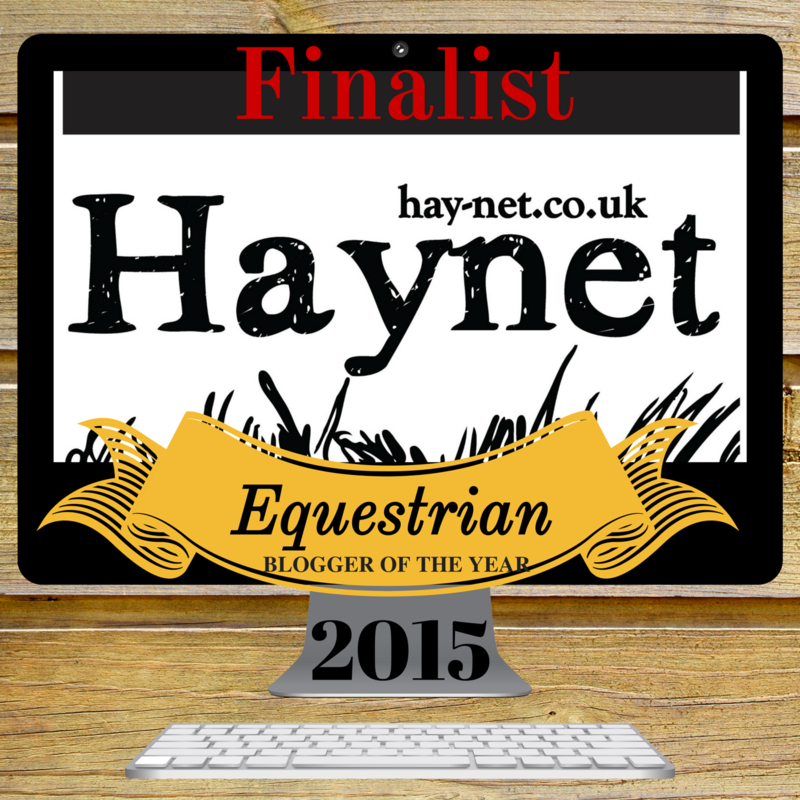 I grew up in the U.S. Pony Club and was introduced to Dressage, Eventing and Show Jumping. When I was 14 I was invited to fill a junior jumper class on my Children’s Hunter. We won and it was all Show Jumping, all the time after that. Probably Vermont. There used to be a series of fantastic horse shows there and I always enjoyed trail riding on Killington and Sugarbush mountains. Phenomenal views. The Lake Placid Horse Show is my favorite horse show. With this job, there isn’t a lot of time to have my own horse. I spend a lot of time traveling around to visit the Thoroughbreds being cared for by our accredited partners. My first USPC camp was in 1991 and I connected with all of those “kids” a couple of years ago. USPC is probably the single greatest equestrian organization out there for someone interested in coaching. Nothing better than bringing a team to USPC Championships. Especially if you’ve had a chance to work with the upper level riders since they were little. I need to make more time for Pony Club and find a club in KY to help. What is the earliest age a child should learn to ride? Tough question. Depends completely on the child. All I know is it’s never too late to start. Look at Michael Matz, I think he started riding when he was a teenager and he’s one of the best in the world. I have a lot of friends who claim they started riding when their mothers were carrying them in the womb. That might be too early. Why did you leave your family and friends and a great job at the American Red Cross in New York to move to Kentucky? The incredible opportunity this job has given me to make a difference in the lives of a lot of great Thoroughbreds. While my sister and I worked with several former racehorses when we were growing up, it wasn’t until I helped place a slaughter-bound horse named Dallas from the State University of NY College of Agriculture and Technology at Morrisville that I really began to care deeply for our mission. Dallas was donated to Morrisville while I was a vice president of institutional advancement. A rescue group notified me that they had saved him while the college foundation’s board and I were in the middle of a capital campaign to fund their equine rehabilitation center. That was one of life’s defining moments, for me. With one or two calls, I found Dallas an incredible adoptive home. I still feel a real sense of accomplishment from that experience, and today, that feeling is expanded exponentially thanks to the outstanding work being done by our accredited aftercare partners. 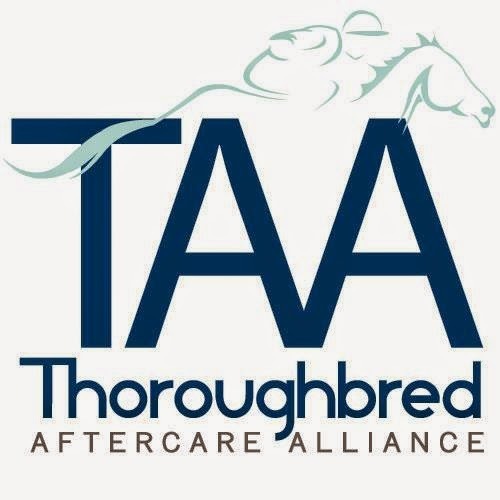 The Thoroughbred Aftercare Alliance Foundation, or TAA; an organization designed to serve as both the accrediting body for aftercare facilities that care for Thoroughbreds following the conclusion of their careers and a fundraising body to support these approved facilities. Our accreditation process and Code of Standards were approved by the American Humane Association and American Association of Equine Practitioners. Last December we awarded $1,000,000 to 23 accredited aftercare organizations managing 80 farms across the U.S. and Canada. This year we are currently reviewing another 29 applications with 72 facilities (though not all of them will be accredited). 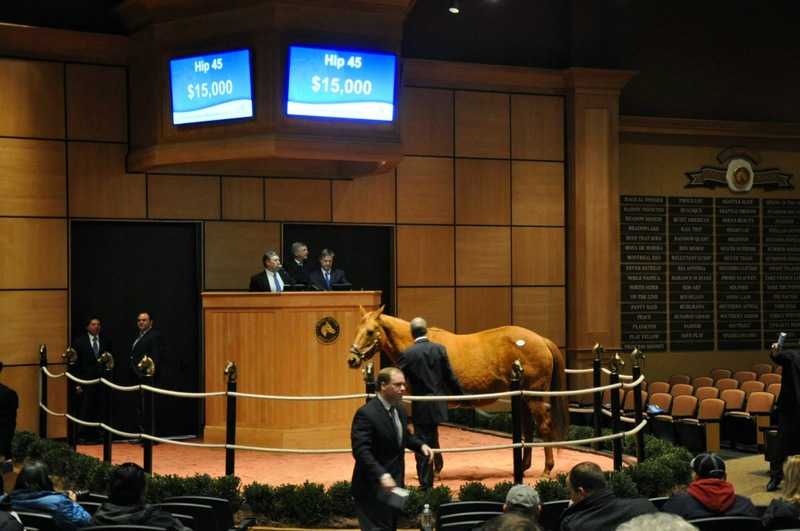 Thanks to The Jockey Club, Keeneland, Breeders’ Cup, The Stronach Group, 24 of the largest stallion farms and so many others; we’re on track to award $2,000,000 this December. James Hastie speaking with J. Ted Neel of Millennium Farms, a participating stallion farm. How can I adopt or considered as a potential adoption facility? While TAA provides best practices for our accredited facilities to follow, each has its own adoption process since they are independent 501(c)3 organizations. That said, in order to be accredited by TAA, they must have set policies that ensure proper placement of each horse and provide sufficient follow up after a horse has been adopted out. 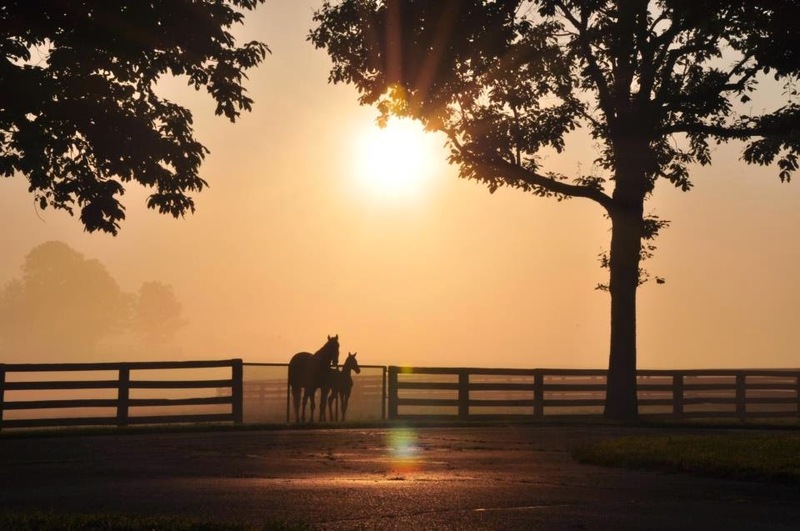 While details vary, TAA accredited organizations have a thorough screening process for prospective adopters that ensures a quality home is found for each horse. The screening process also includes protocols to ensure that each adopter has sufficient equine skills and resources to manage and care for the horse. 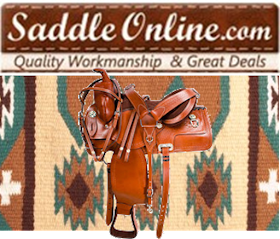 In order to be considered, I generally refer people to our web site which lists our accredited partners, and they visit each web site until they find a horse they like, then they apply to become an adopter. 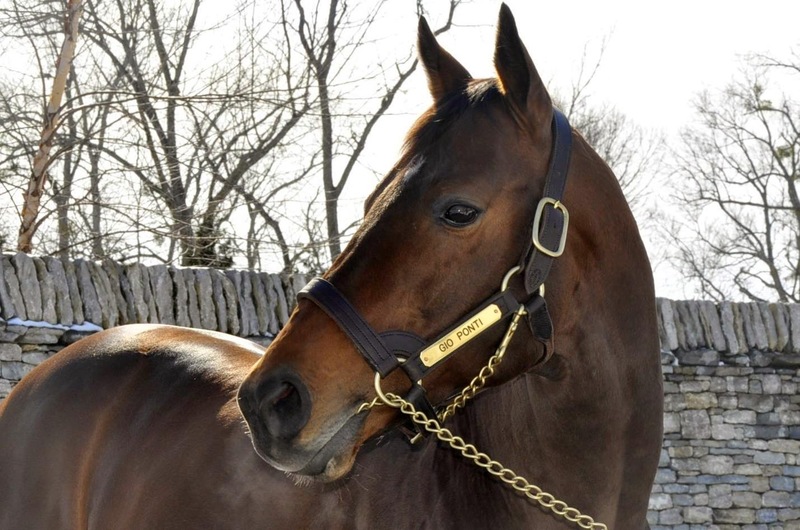 I also let people know that it can take a while to be qualified to adopt, and sometimes a Thoroughbred that is already being advertised will go to a good home before the application process is completed (but they’ll already be on the list next time they spot a horse they want to take home). Read a lot, watch videos, go to clinics and listen to every word. Beyond that, I would suggest taking lessons from a lot of different trainers until they find one that is perfect, for them. I also would make sure they don’t ride in a barn that doesn’t place a high value on teaching its customers all about horse care. A lot of trainers out there want to keep everything a secret, so their clients are dependent on them. Not the way to go. Just as the name implies, the horse comes first. And no doubt because of my childhood experience with USPC, the word to me brings immediate images of horse care. To others it may be about equitation or riding skill, but in my mind, if you take great care of your horse through conditioning and nutrition, performance excellence follows. Don’t laugh, but when I was Cosequin WEF Circuit Champion, one of my biggest expenses was carrots! Every time my horse Riviera City saw me coming, he knew he was going to get a carrot. Always had one in my pocket after he cooled off from a jump-off too. He tried very hard for me. A past Cosequin Winter Equestrian Festival circuit champion in Show Jumping trained by Rodney Jenkins, James left the American Red Cross and began serving the Thoroughbred Aftercare Alliance Foundation (TAA) in November 2013. Since that time, he has worked to steward and grow the base of support responsible for awarding $1,000,000 in grants last December to TAA’s first 23 accredited organizations, delivering direct care to approximately 1,200 Thoroughbreds at 80 farms across the U.S. and Canada. He and a team of TAA volunteers are currently reviewing another 29 applications submitted in 2014. James was first introduced to a couple of individuals involved with TAA while developing a $7,000,000 equine rehabilitation center for the State University of New York (SUNY), where he was a vice president of institutional advancement. He moved from NY to KY immediately after being offered the chance to manage TAA because while growing up as a competitive Show Jumper, his favorite horses were Thoroughbreds. James and his sister Elizabeth retrained several retired racehorses over the years and his first Grand Prix horse was an off-the-track Thoroughbred named James Bond. He is uniquely qualified to work with TAA’s volunteer board and its accredited aftercare partners because of his experience as both a horseman and a nonprofit leader, beginning his professional career as director of communications for the United States Equestrian Team. In addition to his humanitarian work and experience in higher education, James was head of development for North America’s first-ever world cup in the sport of rowing, the 2001 Zurich Rowing World Cup. Prior to moving to Lexington, James had visited the KY Horse Park several times for horse shows and U.S. Pony Club championships. 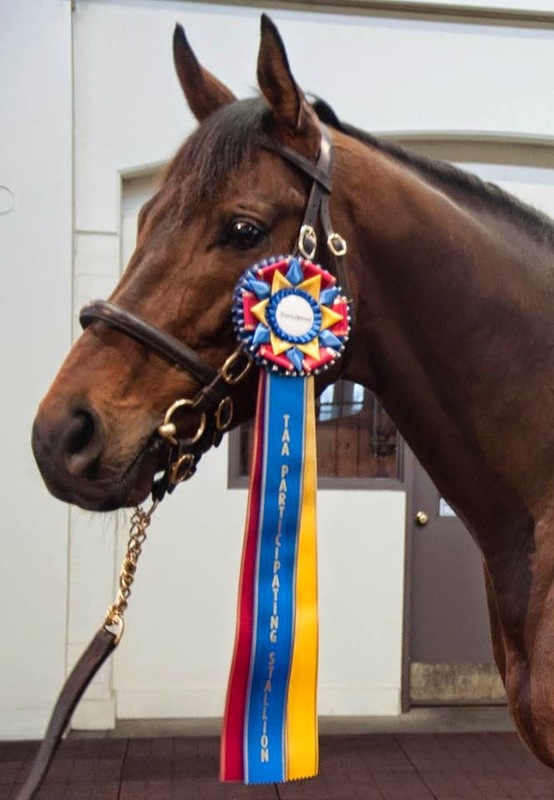 A lifetime member of USPC, James began as a volunteer coach in 1991, served as vice regional supervisor for Western NY and one of his students finished third in equitation finals at the 2007 USPC Championships, on a retired racehorse named Farmer Jo. When I was growing up in Nebraska, we spent family vacations camping at Ponca State Park and you could always find us hanging over the fence at the stable there. I was born with that horse gene and begged for a horse of my own, but adopting every horse I encountered had to do. 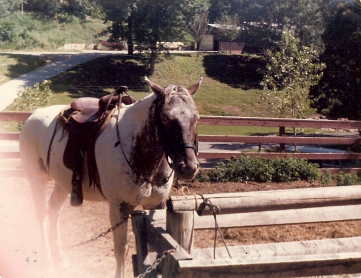 This horse, Amigo, was “my” first horse. He enjoyed getting too close to trees on trail rides, so was often available for me to ride. I never had any trouble with trees and loved this horse dearly. Do you have a favorite horse anecdote to share? Each summer at camp, there was one week we all, campers and horse staff, looked forward to and that was the week when we hosted some special needs campers. They had various disabilities and could not ride a horse alone, but they loved to come down to the barn and be led on a horse or if they couldn’t even do that, they just loved to pet and love on a horse. I only used certain horses in our herd for this, as a gentle disposition was essential. Two black and white paints, Smokey and Oreo, were always on the list. Although these two horses spent the rest of their year on a ranch and worked cattle or packed in for hunting trips, they just had a sense about these kids. Wheelchairs, walkers, oxygen tubes didn’t bother them, and their warm muzzles found their way into these kid’s hearts, easing the burden of their lives and giving them what every horse lover knows—unconditional love. 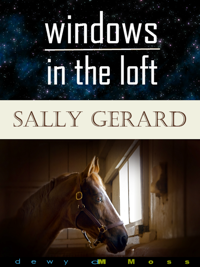 Dewy Moss published my novel, Windows in the Loft just last summer. 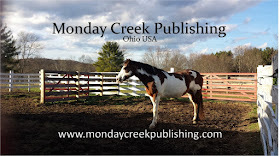 It is a coming of age story centered around a young girl, Isa, and her life with horses. Some have called it “rural science fiction”! 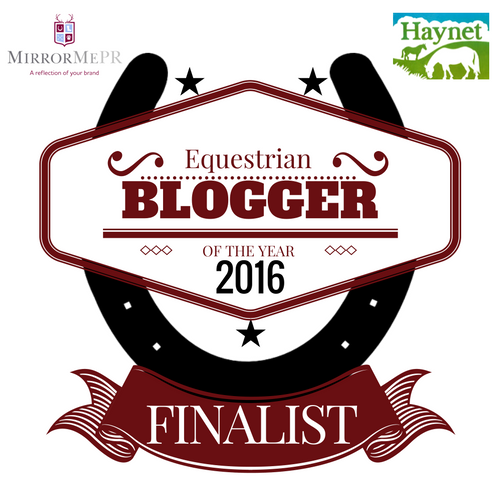 If you love horses and have experienced that incredible relationship with a horse, then you’ll love this story. Spread the word; Isa’s will find her way into your heart. I’ll be working on the sequel this summer. I actually wrote most of Windows in the Loft up in the barn on our place. The barn is pictured on the back cover of the book! I like to write up in the barn with the loft doors open because it gives me such a sense of place, and I can see the horses as they spend their day grazing along in the pasture. When I can’t be up in the barn loft, I write at the kitchen table. For me, the most difficult part is getting started—I can get distracted by the chores that always need to be done around a farm. I have to shut everything off and let myself enter the story. I love these shots: the shadow of Indian and me riding down the road and Indian and Oreo in the pasture this winter and closer to spring. I get inside the heads of my characters. Although they surprise me sometimes, I focus on where they’re going and on showing the struggles they are facing and working through just like all of the rest of us. I reread what I’ve written the day before and plunge into the story. I also drink a lot of coffee! I am currently writing a rural romance novel that of course features horses. I cannot imagine a life without horses, even if the character cannot have their own. The main character, Jess, has to overcome the emotional abuse she suffered as a child from her father. She struggles with whether or not she deserves to be loved. The one place she knows she can love and be loved is with her horse. She needs to move on from her past, wake up and see that Sam loves her and more, that she is worthy of love and joy. This novel is almost finished and then I’ll be working on the sequel to Windows in the Loft. What is the key to writing successful poetry? Keep it real. The great thing about poetry is that it takes the real world and boils it down to such basic but powerful words and ideas. Good poets write about what is right in front of them, from the wilting red rose saved after the funeral to the big paint horse nibbling on the farrier’s belt as his hoof is trimmed. Write and read. 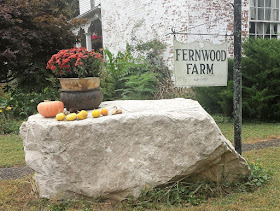 Write everyday whether you want to or not and write about what you know: the way the barn door squeaks, trying to get that peppermint out of your pocket as you’re riding your horse down the road, or that cranky neighbor who drives too close as they pass you and your horse on the road. Make it real. Take some creative writing classes and find some ways to share what you’re writing in order to get some feedback. Read what you write out loud to yourself to get an idea of your writing voice—you’ll be surprised at what you learn. The best advice I can offer is the same advice I received: ride as many different horses as you can. The more horses you learn to keep between your knees, the better rider you’ll become. And find a riding mentor, someone who already has more horse experience and who’s willing to guide you. 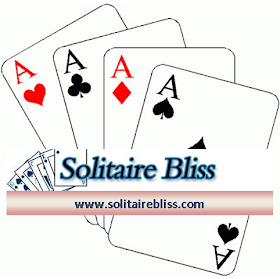 Don’t blame a horse for being a horse; patience and firmness are key. Clancy in The Man from Snowy River is a good example of a horseman: someone who partners with his or her horse. A horseman knows that you never stop learning and that a well-treated horse is a joy to work with and ride. A horseman treats horses with respect and listens to the horse but also knows that he is the head of this herd of two. A horseman makes sure the horse’s needs are met for everything from health to safety, and a horseman treats others with respect and isn’t afraid to both learn and to share knowledge and experience. A horseman is a good example for other horsemen. A really excellent horseman speaks horse—I aspire to this ideal. 1. I once rode in a dress, sidesaddle in a western saddle, holding a fishing pole with an apple on the line and no bridle on a horse with a boom box tied on and blaring the theme song from Top Gun to show a group of young riders what not to do. Talk about a bombproof horse! 2. I consider both dark chocolate and coffee to be in the vegetable group as they both come from beans and I try hard to make sure I get over the recommended daily dose according to the food pyramid. 3. I do not enjoy composing/writing on a computer. I write in small narrow lined Moleskin notebooks. 4. I’ve had several poems published and I love poetry, but the biggest response I’ve ever had to one of my poems was over a poem I wrote about an outhouse. 5. I’ve directed or co-directed Suessical Jr., Bugsy Malone Jr., and The Comedy of Errors for middle school productions. 6. I have sixteen brothers and sisters in various states of full, step, and through adoption. 7. One summer at camp, I snuck out of my cabin and out to the barn, found my horse and with a halter and lead rope went for a ride under the full moon. It was glorious! I didn’t get caught. 8. I like to make s’mores with Reese’s Peanut Butter Cups. 9. I make a delicious chokecherry jelly. 10. I have a photo of myself at eighteen doing a backbend at Four Corners with a hand or foot in each of the four states. First and foremost Lily Alvarez Dolan is a lover of Jesus. His Holy Word is precious to her. Lily is Mom to 5 adult children. Four are married and, with their spouses, are raising her 9 grandkids to know Jesus. Lily’s husband received his crown of life in the summer of 2012. They were married almost 44 years. Now Lily’s Maker is her Husband, as Isaiah 54 promises. 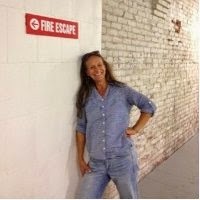 Lily worked in Christian Radio as a DJ and Music Programmer in the 90s and left in 2000 to spend time with her husband and grandkids. John, her husband, had a stroke in '97, heart surgery in 2003 and their son gave him a kidney in 2009, which gave them 3 extra years. John literally glowed like gold with the reflection of Jesus through his trial by fire. Lily is now doing worship concerts and coffee shops with her friend, Celia. They have 30 plus songs the Lord has given them. Lily and Celia hope to share the love of Christ with as many as possible. 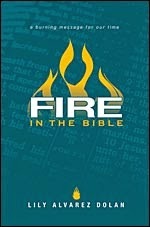 What prompted you to write Fire in the Bible? I never set out to write a book. It was a personal word study. I used a list of 150 verses from a concordance went through them within a years’ time. 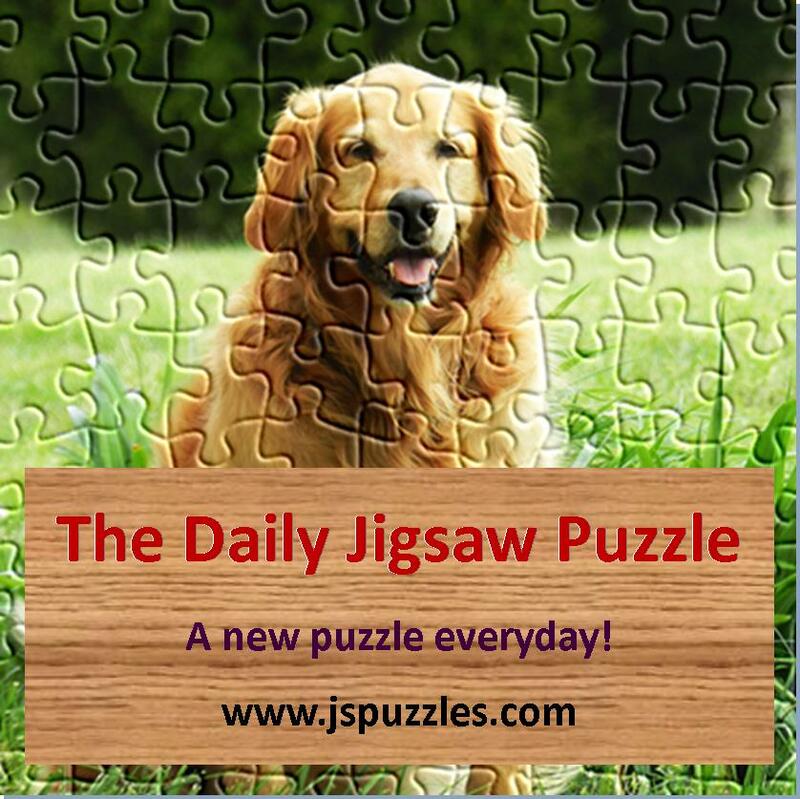 I shared each day with my listeners on radio and got a good response. When I left radio I started studying the history and geography surrounding those verses along with the Hebrew and Greek translations. In 2 Chronicles 36:12, we learned that Zedekiah did evil in God’s sight, and did not humble himself before Jeremiah, who spoke from the mouth of the Lord. We learn in the following verses that the people and rulers “mocked and misused” the messengers that God had sent to warn them. In verse 19, we see that the Chaldeans burned down the temple and all the palaces. Verse 21 tells us this happened to fulfill the word of the Lord by Jeremiah. 2 Kings 25:9 says the captain of the guard to the king of Babylon burned the house of the Lord, the king’s house, and the houses of Jerusalem, along with “every great man’s house,” with fire. To bring this into perspective, try to imagine that if forces from Iraq attacked America, and a Christian prophet told government leaders to submit to their rule because God had warned them if they didn’t, they would be killed. I doubt anyone would listen. The natural response would be to resist dominion by a foreign country on our native soil. Ironically, as I type this section, there have been “rumors of wars” against Iraq because they are believed to be harboring weapons of mass destruction. Even more ironic is the fact that Babylon was situated where Iraq is. It was the Jews that were carried away into captivity by the Babylonians for seventy years that preserved their race, which would later become the lineage of Jesus Christ. It was Daniel who understood from Jeremiah’s prophecies about the seventy years of desolation in Daniel 9:2. Those who escaped the sword were carried away to Babylon, and in 2 Chronicles 36:21, we read, “To fulfill the word of the Lord by the mouth of Jeremiah, until the land had enjoyed her Sabbaths: for as long as she lay desolate she kept her Sabbath, to fulfill threescore (sixty) and ten years. Although the Jews in Babylonian captivity returned to Jerusalem after seventy years, Daniel also spoke of the seventy weeks (of years), with the final week representing the fulfillment of end time prophecies. We are living in the interlude before that final week. Jesus spoke of the desolation in Luke 21:20, warning us of the time when Jerusalem will be surrounded by armies, indicating that the desolation is close. In Luke 21:22, the Lord says that those will be the days of vengeance so that all the things that were written would be fulfilled. What can we do to prepare for Christ's coming? Daily walk with Him and stay in His Word. died on the cross and rose again. I am editing the second book of Fire in the Bible. The first book covered the verses from Genesis to Daniel. The next book is the Minor Prophets through the New Testament. I am always writing poetry. Some turn into songs thanks to my friend who sings. At my favorite mesquite table turned into my desk. I don't...it's a Holy Spirit thing. I am so easily distracted and go off on tangents. The first rule of writing is to start writing. Although I love being around people, I also like my privacy. When I drive by myself I usually listen to Christian Hard Rock...loud! I struggle with pride and vanity. I love to play with my grandkids....we had a water fight with hoses just the other day. I'm very picky about what I eat. I like muscle cars and the sound of engines roaring. I love to watch the stars pop out at night.